We have a competition brewing for Burger Week! Two chef’s. Two different locations. Two takes on the Donair. Two solid Beer Pairings! In commemoration of the true history of the Original Halifax Donair… check it out @EatThis Town. 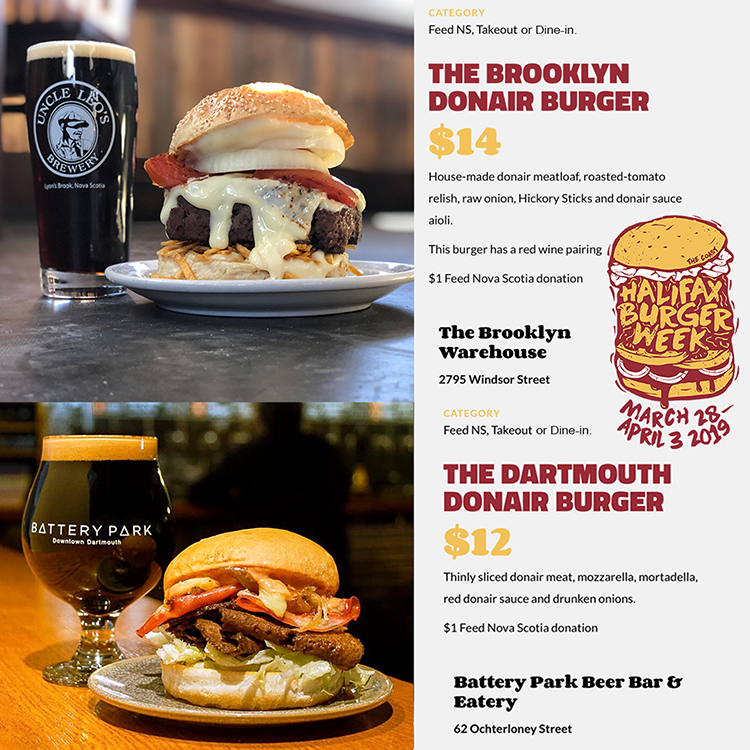 Battery Park will be rocking The Dartmouth Donair Burger. Thinly sliced house-made donair meat from Getaway Farm with mozzarella, mortadella, red donair sauce and drunken onions. And there’s more… we’ve got kegs of Big Spruce Brewing’s Blood Donair, an organic Imperial ’Meat’ Stout with raspberry. That’s right… donair and donair beer! The Brooklyn Donair Burger: house-made Getaway Farm donair meatloaf, roast tomatoes, thick cut onions, house donair sauce, and hickory sticks. Get your napkins ready for this one!!! This is going to pair nicely with a tall pour of Uncle Leo’s Brewery Cream Stout! Come be part of history. $1 from each burger goes to Feed Nova Scotia .